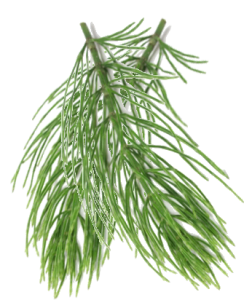 Horsetail is a very popular herbal remedy as it is a storehouse of minerals. 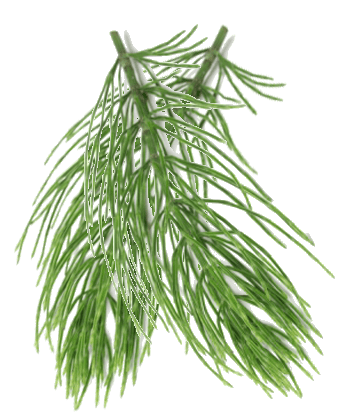 Due to its high content of silica, horsetail (Equisetum arvense) is recommended when it is necessary for the body to repair bony tissues. Silica helps to fix calcium, so that the body can store more of this mineral and then use it to repair bones, collagen and other body tissues, making it suitable for the treatment of osteoporosis. As it has a diuretic effect, it stimulates the kidneys and assists with all kinds of bleeding. and has also been used to treat deep-seated lung damage such as tuberculosis or emphysema. Its silica content not only encourages the absorption and use of calcium by the body, but also helps to guard against fatty deposits in the arteries. Externally, horsetail poultices aid in the healing of wounds, ulcers and skin eruptions. To prepare a horsetail poultice, hang a sieve containing horsetail dried herbs over a saucepan of water and bring the water to the boil. Cover and steam for a few minutes. Spread the softened herbs on a cloth and place on the affected area. Cover the poultice with a woollen cloth and leave it on for approximately 2 hours. Mix all herbs into a bowl and then store them in a sealed glass jar away from sunlight. Infuse one heaped teaspoonful of the mixed herbs and pour 1 cup of boiling water over them. Cover the cup with a lid or saucer—this ensures that the volatile oils in many medicinal herbs do not escape into the air. Allow the mixture to steep for 3–5 minutes and strain before using. If not using straight away, you can store an infusion in a covered jug or container in the fridge for up to 24 hours and gently warm the mixture before drinking. More specifically, it is regarded as an excellent astringent for the genital and urinary systems to the point that it has even been touted as a prostatelium (a treatment for prostate disorders). However, it should not be mistaken for the very specific prostatelium of Epilobium paviflorum.